From the beginning, Myrna Loy’s screen image conjured mystery, a sense of something withheld. "Who is she?" was a question posed in the first fan magazine article published about her in 1925. 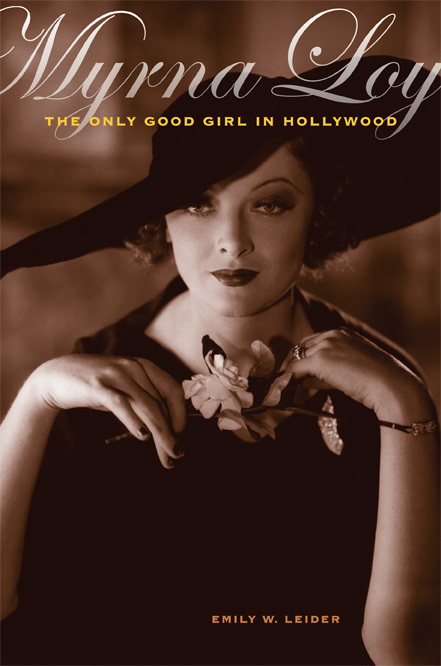 This first-ever biography of the wry and sophisticated actress best known for her role as Nora Charles, wife to dapper detective William Powell in The Thin Man, offers an unprecedented picture of her life and an extraordinary movie career that spanned six decades. Opening with Loy’s rough-and-tumble upbringing in Montana, the book takes us to Los Angeles in the 1920s, where Loy’s striking looks caught the eye of Valentino, through the silent and early sound era to her films of the thirties, when Loy became a top box office draw, and to her robust post-World War II career. Throughout, Myrna Loy illuminates the actress’ friendships with luminaries such as Cary Grant, Clark Gable and Joan Crawford and her collaborations with the likes of John Barrymore, David O. Selznick, Sam Goldwyn, and William Wyler, among many others. This rich, highly engaging biography offers a fascinating slice of studio era history and gives us the first full picture of a very private woman who has often been overlooked despite her tremendous star power.